By: Jay Johnson – It may not be December, but the Jacksonville Jaguars have continued to makes summer a season of giving throughout this month of June with various donations. 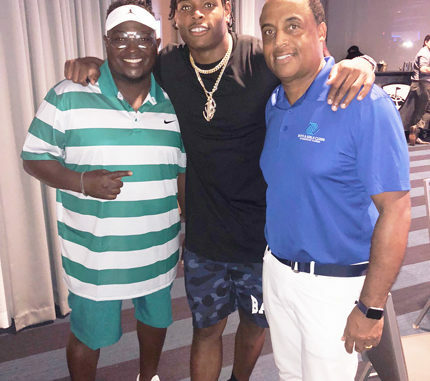 Star cornerback Jalen Ramsey was the latest player from the Jags roster to do his part in the community, recently donating $10,000 to the Northeast Florida division of the Boys and Girls Club. 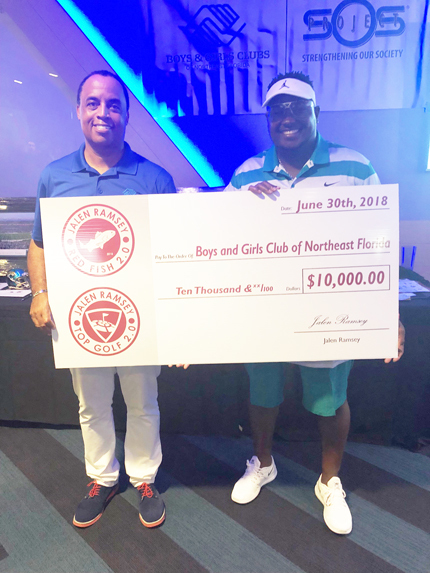 Ramsey held a fundraising event at Topgolf of Jacksonville last weekend where he spoke on his memories of attending the Boys and Girls Club as a child, which looks to have played a key part in him helping their cause. 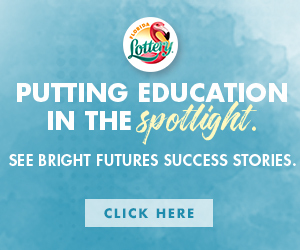 “I grew up in the Boys and Girls Club and my dad and brother are still actively doing something for the Boys and Girls Club back home in Tennessee,” Ramsey said. “So I’m taking after him (by growing) as a man not just on the field, but outside the field as well to not only make my family proud but the whole city of Jacksonville and Duval County proud.” Shown below with check is (l-r) BGCNEFL Representatives President of Board of Governors Michael L. Huyghue and Rickie Simon Director of Community Relations or BGCNEFL Representatives Rickie Simon Director of Community Relations, Jalen Ramsey and President of Board of Governors Michael L. Huyghue.